The 2011 Giro d’Italia concluded in Milan on Sunday, confirming what had become increasingly obvious since the stage nine finish on Mount Etna: that Alberto Contador was, by some distance, the best rider in this year’s race. It was a point he repeatedly underlined during the final two weeks, winning two stages with devastating accelerations and finishing a massive 6:10 ahead of Michele Scarponi without looking like he was ever in the slightest trouble. It was one of the most utterly dominating performances the sport has seen in recent memory. However, the nature of the race – and the ease with which Contador won it – raises a number of key talking points which I believe detracted from the overall spectacle and point towards potential improvements. Here are my top six. 1. Was this year’s Giro too hard? Seven summit finishes. The monstrous Zoncolan – all 10.1km of it, with an eye-watering average gradient of 11.9% – at the end of a day which would have seen the peloton climb the marginally less torturous Monte Crostis immediately before it had it not been removed at the last minute. A marathon stage the following day which took 7½ hours to complete. Even the designated ‘flat’ stages were rarely straightforward, often featuring challenging climbs in their closing stages to tax tired legs. Several riders complained after the end of the race that this year’s edition had been too hard. It’s easy to see why. Although Contador won in Italy and is also making noises about racing in France too, he would probably be the only major Tour contender to attempt both. Denis Menchov‘s Geox-TMC team were not invited to the Tour, and Roman Kreuziger will play second fiddle to Astana team leader Vinokourov (if he competes at all). Other top riders from the Giro will skip the Tour and focus instead on September’s Vuelta a España. Of those who skipped the Giro, Basso and Evans will certainly be major contenders, as will 2010 runner-up Andy Schleck, who opted instead for the less tiring Tour of California. All this meant the Giro was missing too many of the sport’s biggest names, and points increasingly towards a split calendar where riders either focus on the Tour, or target the Giro/Vuelta double. If so, that would be a real shame. 2. Who’d be a sprinter? It came as no surprise that virtually all the sprinters withdrew from the race after stage 12. Consequently the race for the maglia rossa – traditionally the carrot for the sprinters to focus on – became little more than a reflection of the general classification, with the top three the same in both competitions. The organisers cannot pretend to have been surprised by this, having planned a parcours dominated by mountain-top finishes which did not feature even a sniff of a bunch sprint in its final days. Mark Cavendish, Alessandro Petacchi and their ilk were always going to climb off the bikes after stage 12 – with nothing left to race for, what was the point of them continuing? No one wants an endless procession of flat 200km drags at a Grand Tour – something the Tour de France has often been guilty of in its early stages – but long transition stages are part and parcel of the fabric of moving a race around a big country without logistically challenging air/rail transfers (another frequent riders’ complaint at the Giro). The balance and distribution of sprinters’ stages this year was clearly wrong, and the Giro would be a poorer place if the top fast men started to miss it for lack of opportunity. 3. Where was the excitement in the final week? By the second rest day, the competition for the maglia rosa was effectively over. With a succession of tough summit finishes peppering the back end of the second week – Grossglockner, Zoncolan, Gardeccia – Contador pulled out a lead of 4:20 over the pack and, after winning the stage 16 mountain time trial, was able to cruise through the less strenuous final week with the luxury of needing only to cover the big moves, while those lower in the order were forced to take the initiative in chasing down early breaks or later attacks. All this meant the final week’s stages included several successful breakaways and repeated attempts by Movistar to win a stage to dedicate to Xavier Tondó (which Vasil Kiryienka finally achieved on the last road stage). And with Vincenzo Nibali lacking the legs/will to attack Scarponi in an attempt to seize second, the only movement at the upper end of the GC involved the minor placings. In truth, the final week was a desperate anti-climax. Some of that was down to Contador’s crushing supremacy, but putting so many of the big climbs in the middle of the race certainly didn’t help either. 4. What’s the point of a mountain time trial? The result of the stage 16 mountain time trial told us what we already knew – that Contador was the best climber in this year’s race, with Nibali, Scarponi and José Rujano not far behind. The time gaps on the 12.7km stage, the first 5km of which was relatively flat, were relatively small and had virtually no impact on the general classification. Although Contador did win by an impressive 34 seconds, the gap between the next ten riders was a trifling 31 seconds. Much of the preceding week had been spent sorting out the men from the boys and establishing a clear order on GC, which the time trial did nothing but underline. Why have a relatively short uphill time trial with less than 8km of serious climbing which has virtually no impact on the overall race? Surely it would have been better to have either a longer, more testing climb to offer the opportunity of some meaningful time differences or, as has been suggested by others, one which incorporates a technical descent to offer a different challenge to the riders. Nibali, for one, would have enjoyed the opportunity to test Contador’s mettle against the clock on a tricky downhill, and could have led to more significant changes in the overall rankings. 5. Is Alberto Contador beatable? All other things being equal, the simple answer is: no. Having laid low during the formative early stages, he featured in the top three finishers on eight of the final 14 stages, a record of consistency underlined by the huge margin by which he won the points classification over Scarponi (202 points to 122). Whenever he needed to be at the front to cover a move or launch his own attack, he inevitably was. A record of two wins, four second places and two thirds speaks for itself. 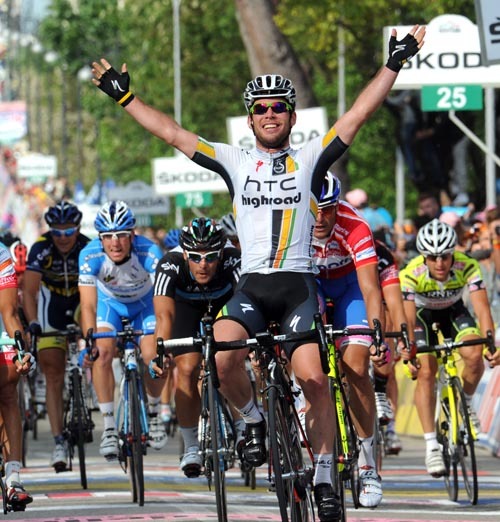 Cavendish was the only other man to win more than once, and had Contador not gifted wins to Rujano (stage 13) and former teammate Paolo Tiralongo (stage 19), he would have claimed four wins. He was effectively untouchable no matter what anyone else tried, and the one potential chink in his armour – descending – was never seriously tested. Can he now pull off the seemingly impossible Giro/Tour double? If anyone can, it is Contador. 6. When will we know who the winner of the Giro is? Of course, the biggest threat to Contador’s Giro win is still to come. His hearing at the Court of Arbitration for Sport (CAS) – in which the UCI and WADA will attempt to overturn the Spanish federation RFEC‘s decision not to impose a ban after a positive test at last July’s Tour de France – was originally scheduled for June, but now looks likely to take place after the Tour. A finding in favour of the UCI and WADA would almost certainly result in the annulment of the Spaniard’s results in the time since his failed test, including the Giro. This would promote Scarponi to race winner after the event – and over a year after the doping test in question. To say the situation is unsatisfactory from both a sporting and procedural perspective is putting it mildly. But, for those who follow the sport closely, it is hardly a surprising state of affairs. Too many race results are ‘provisional’ or cast under some kind of cloud of doubt, and it does the credibility of the sport no good whatsoever. Finally, a note to acknowledge the deaths of Wouter Weylandt, who died after a crash on stage three, and Xavier Tondó, who was not competing at the Giro but was killed in a freak accident involving his car and a garage door on the second rest day. The peloton has lost two of its most popular members. Rest in peace. May the wind always be at your backs. Vincenzo Nibali‘s hopes of overall victory may have vanished, but his Liquigas-Cannondale team salvaged a measure of pride as Eros Capecchi proved the strongest in a three-up sprint to give the team their first win in this year’s Giro d’Italia. It was only the 24-year old’s third professional victory. The profile of the stage from Morbegno to San Pellegrino Terme, the town famous for its bottled water, was essentially flat until the last 40km. However, the peloton was in no mood to allow a break go too early, completing the first hour at 53kph and clamping down on every escape attempt until close to the halfway point. Finally, a group of 19 riders formed and was allowed to extend a comfortable lead over the main bunch. 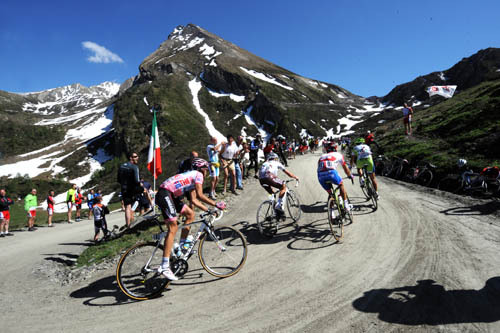 The break continued together until it hit the slopes of the day’s one major climb, the second category Passo di Ganda. This 9.2km. 7.3% climb has a fairly steady gradient for most of its length, with the final 2km being its toughest stretch, featuring a leg-sapping 15% section. Six men – Jérôme Pineau and Kevin Seeldraeyers (both Quick Step), Russell Downing (Sky), Gianluca Brambilla (Colnago-CSF Inox), Marco Pinotti (HTC-Highroad), and Capecchi – initially rode clear of their breakaway comrades on the lower slopes of the climb. However, the pace proved to be too much for Pineau, Brambilla and Downing, leaving Capecchi, Seeldraeyers and Pinotti to forge ahead. The leading trio rode together over the summit with Brambilla clinging grimly on about 20 seconds behind. Meanwhile, the peloton was happy to follow four minutes back, with Giovanni Visconti launching a solo attempt to bridge the gap to the leaders in the hope of redeeming himself for his bungled sprint yesterday. With Brambilla gradually falling back, he was subsequently joined by Astana‘s Paolo Tiralongo, but the pair were unable to make any inroads on the front three. Behind them, the peloton were now in cruise control as they allowed the gap to the leaders to slip out beyond seven minutes. In the closing kilometres on the run in to San Pellegrino, the cat-and-mouse started in earnest. Having tried an exploratory dig three kilometres out, Pinotti subsequently found himself trapped at the front and unable to drop back behind the others. At one stage, the trio came to a virtual standstill before a resigned Pinotti set off again. Around the final corner with 250m left, he was left with no option but to open up the sprint, setting himself up as an easy target for Capecchi, who came around him and easily hit the line first. I haven’t had a lucky Giro. I wasn’t going as well as I wanted. To win this stage brings me incredible joy. All the major contenders – including the top three Alberto Contador, Michele Scarponi and Nibali – arrived safely in a group of over 60 riders 6:04 behind the winner. The top of the general classification remains unchanged. Of greater interest for Contador, though, was the news that the Court of Arbitration for Sport has agreed to postpone the UCI and WADA‘s appeal in his clenbuterol doping case until at least mid-July, which opens the door for him to compete in the Tour de France. Stage 19 will be a more challenging day for the peloton as it concludes with a summit finish. However, a big attack from one of the top riders is unlikely as the final climb is not that challenging and many will want to save energy for the more difficult Sestriere climb on Saturday. 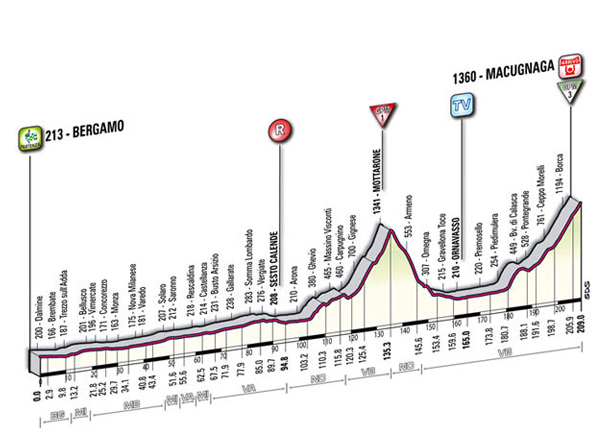 The day’s 209km route from Bergamo to Macugnaga takes in the first category Mottarone (13.8km, 6.2% average gradient) about two-thirds of the way through the stage, an awkward and variable climb which touches gradients as high as 14% early and late in the climb, but also features a short descent midway, before the final 4km averages around 9.5%. The stage ends on the Macugnaga, a seemingly interminable (28.2km) but mild (3.9%) mountain, which is steepest at the beginning before a long and relatively straightforward ascent to the summit finish. It should be yet another opportunity for a breakaway rider to make a name for himself. The World Anti-Doping Agency (WADA) wasted little time in lodging its own appeal with the Court of Arbitration for Sport (CAS) against the Spanish cycling federation’s (RFEC) decision not to impose a ban on Alberto Contador for his positive clenbuterol test at last July’s Tour de France. After the UCI, cycling’s governing body, had registered its own appeal last week, WADA required only five of the permitted 21 days to make its own appeal to CAS on Tuesday. The speed with which WADA lodged its case improves the chances of a CAS hearing being completed before the start of the 2011 Tour de France on July 2nd. As it currently stands following RFEC’s decision, Contador would be free to race in France as the defending champion – although if CAS rules against him before then he would be unable to enter and would be stripped of his 2010 title. He has already stated his intention to compete in next month’s Giro d’Italia, which is still permitted in spite of the appeals. The World Anti-Doping Agency has filed today a declaration to appeal to the Court of Arbitration for Sport in Lausanne against the Spanish Cycling Federation’s decision in the case of Alberto Contador. Mr Contador was acquitted following a positive test for clenbuterol during an in-competition test carried out on July 21, 2010. Following its policy, WADA will refrain from commenting further in order to protect the integrity of the process. The Court of Arbitration for Sport (CAS) has today officially registered the appeal of the World Anti-Doping Agency (WADA) against the decision of the Spanish Cycling Federation (RFEC) concerning the case of Alberto Contador. A copy of the appeal has been sent to Counsel for the RFEC and for Mr Contador. On 25 March 2011, the CAS registered the appeal filed by the International Cycling Union (UCI) against the same decision. Pursuant to the CAS rules, it is possible to consolidate the two cases, if all parties agree. The parties will now have the opportunity to file written submissions including all their arguments and evidence. The CAS Secretary General has informed the parties that the CAS would be ready to establish a procedural calendar allowing for the settlement of the dispute before the end of June 2011. At the very least, WADA’s inclusion in the process will supplement the UCI’s resources in pursuing their case. Contador has already established a strong legal team of his own to argue his defence. CAS has indicated that WADA and the UCI can choose to consolidate their cases – as they did in taking action against Alejandro Valverde – if they desire. This would have the benefit of streamlining the process and improve the odds of a quick decision, but the two bodies may well choose to keep their appeals separate in order to take a two-pronged approach which allows them to pursue different legal arguments. 1. Appeal against the validity of RFEC’s decision. This could take the form of an examination of whether the Spanish federation correctly applied the UCI’s ‘strict liability’ policy. They could also point to undue political influence. If the UCI were to accept that any ingestion could have been accidental and focus instead on procedural errors, it could result in a reduced ban of perhaps one year, backdated to the initial suspension last September. This would be the easier route for UCI/WADA to achieve a successful and rapid prosecution. 2, Disprove (or at least sufficiently discredit) Contador’s defence by demonstrating beyond reasonable doubt that Contador’s contaminated meat explanation lacks credibility. If successful, this would be more likely to result in the application of a two-year ban, but it is a higher risk strategy because it places the burden of proof on UCI/WADA. It is also more likely to result in a drawn-out process as one or both sides request additional time to gather further evidence or expert testimony. My personal view? The UCI should concentrate on RFEC’s abuse of process, which is effectively an internal cycling matter, leaving WADA to focus on looking at the wider issue of disproving the accidental contamination defence. Will Spanish politicians keep their mouths shut? In a word: no. It is widely thought that RFEC’s decision not to sanction Contador – after they had initially recommended a one-year ban – was widely influenced by pressure from senior political and legal figures, including Prime Minister José Luis Rodríguez Zapatero. The argument seems a little shaky. Not half as shaky as an unsubstantiated opinion from an inexpert politician, one suspects – particularly given that Contador’s entire defence rests on a wholly unsubstantiated hypothesis. When will we know CAS’s final verdict? The calendar with an end in June would be possible under the normal rules but it is tight. We could shorten the time limits but only with the agreement of the parties. A final verdict could easily be delayed until July or even early August, allowing Contador to start the Tour if he so desires. Personally, I think it is unlikely he will race in France this year, no matter what happens. If cleared, he will probably attempt his home race, the Vuelta a España, in addition to the Giro. If CAS rules against Contador, however, he could face a ban of up to two years, disqualification of race results and a hefty financial penalty – not to mention the impact it might have on his future career and commercial earnings. Other than the pronouncements of Spanish politicians and Contador’s own legal team, I doubt we will hear much more for the next several weeks, but you can be sure this story will be undergoing many twists and turns in the corridors of CAS right up until the eve of the Tour, and possibly beyond. Hang on to your hats, folks. It’s going to be a bumpy ride. Is Contador’s doping suspension much ado about (almost) nothing? The beginning of the end for Contador? Contador a free man, but at what cost? The UCI, cycling’s governing body, today announced its intention to appeal the decision by the Spanish national federation RFEC not to sanction Alberto Contador. The three-time Tour de France champion had given a trace-positive sample for the banned drug clenbuterol in the process of winning last year’s race, and has not subsequently provided any substantive evidence to support his claim that he inadvertently ate some contaminated steak. Our main goal is not to prove that Contador is guilty. We don’t want the head of Contador. We want to get to a point where we can be sure and we can give you the guarantee that we did everything we could in order to get the best decision. We know that his appeal will once more be painful for cycling. For months longer, we might have more Contador stories. Contador is free to race until the CAS decision. We have to wait until the decision of CAS and it will depend on their verdict. In reality, the UCI was never going to allow RFEC’s ruling to stand uncontested. The Spanish federation’s decision not to press for a ban – having indicated only a few days previously its intention to apply a one-year sanction – was seen by many as favouritism and bowing to considerable public pressure from senior political and legal figures, including Prime Minister José Luis Rodríguez Zapatero. And RFEC’s acceptance of Contador’s contaminated beef defence without the support of any tangible evidence flies in the face of the UCI’s ‘strict liability’ principle which effectively means a rider is guilty until proven innocent after a positive test. As such, the UCI could not allow such a dangerous precedent to be set. Without its strict liability rule, there is a danger that any future doping bans could only be enforced if evidence of deliberate doping can be found – syringes, containers and medical records, for instance – which would effectively neuter the entire anti-doping system overnight. First and foremost, RFEC’s decision not to ban Contador means he retains his 2010 Tour victory for now. He is also able to continue competing until the appeal is concluded. As to when the case will be resolved, it is possible that it could be finished by the end of June – crucially, before the start of the Tour de France – but due process allows for potential delays to extend this into July. This is covered in greater detail by Velonation, but the bare bones are as follows. The UCI would file its appeal submission by April 4th, with Contador’s team filing a written answer to the appeal towards the end of the month. A hearing would then take place at the end of May, with CAS’s final decision being announced towards the end of June. However, CAS Secretary General Matthieu Reeb has previously pointed out that a number of factors could delay the final outcome. Either party is at liberty to request extensions for the filing of their submissions (or for a second exchange of submissions), or for additional evidence (e.g. expert testimony) to be gathered. So late June is most likely to be the earliest possible conclusion to the appeal. And the worst case scenario of a decision being delayed until after the Tour starts is far from unlikely. It will probably not come to it, as I suspect Contador will race in the Giro and Vuelta this year and skip the Tour, but can you imagine the unholy mess that would occur should Contador start this year’s Tour, only to be banned in mid-race? There are various shades of grey in between, but there are essentially three possible outcomes now, two of which would leave the UCI’s integrity intact, while the other could have far-reaching implications across all sports. 1. CAS overturns RFEC’s decision and implements a (back-dated) ban on Contador of either one or two years. The rider would forfeit the results and earnings from any races he had competed in, probably dating back to his initial provisional suspension in September. 2. 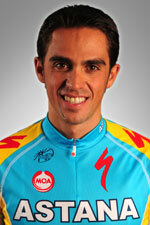 CAS upholds RFEC’s decision not to ban Contador on the basis of his defence. This would presumably require new supporting evidence to be brought forward, as he appears to have produced none so far. This would not be a terrible decision for the sport, as it would leave the UCI’s strict liability principle intact. An independently-rendered decision untainted by accusations of nationalistic self-interest would also be good for Contador’s credibility with fans and sponsors. There is also the possibility that the UCI itself may come under scrutiny from CAS for its handling of the case. In particular, it could be easily embarrassed if pressed to explain why it seemed to delay the initial announcement of Contador’s positive result for several weeks until the point when the media were just about to go public with it. Whatever happens, it is going to be an interesting – and potentially pivotal – few weeks in both the career of Alberto Contador and the ongoing anti-doping crusade. Watch this space. Alberto Contador‘s record as a five-time Grand Tour winner was built on an ability to attack his opponents aggressively and with devastating effect. So we should not have been surprised that he chose to adopt a similar front-foot stance in his first press conference 48 hours after it was revealed that the Spanish national cycling federation RFEC was proposing to apply a one-year ban for his trace-positive test for clenbuterol at last July’s Tour de France. The Spaniard spoke eloquently about how he maintains he is innocent and is indeed both the wronged party and a pawn in a political game of chess between the various sporting and anti-doping power-brokers. It’s not a question of money, or a race. It’s a question of honour. I have to defend my innocence. Below I have reproduced the key quotes from Contador’s press conference, which was held at a hotel at his Saxo Bank-Sungard team’s training camp in Mallorca, with my thoughts and commentary added. I should stress that these are my opinions based on my interpretation of what facts have been made publicly known. I have neither additional knowledge nor any kind of personal agenda against Contador – however, I simply do not believe his side of the story because of the lack of compelling evidence (or indeed any evidence) in his favour. You have to remember that this is just a proposal and I will work as hard as I can to change it. But if that does not happen I’ll appeal wherever I need to to defend my innocence to the end. I have never doped myself, never. I can say that loud and clear with my head held high. I consider myself as an example of a clean sportsman. I find it, therefore, very difficult to handle the things that are said about me. Very well put, but this is no more than you would expect anyone in his position to say. Whether you believe he is innocent or guilty, these are just platitudes which should not change your opinion one way or the other. The only mistake I have made is to have a piece of meat that I had not analysed before to check it had clenbuterol. Something may have been lost in translation here, but this sounds like a bit of a dig, along the lines of “you can’t expect me to check every possibility, can you?” I have some sympathy for this. However, the rules are very clear, and that is why all professional teams have their own chefs and support staff whose job it is to ensure the riders’ dietary requirements are met in a way which does not expose them to potentially tainted food. To deviate from the norm – as Contador’s story of eating beef brought over from Spain by a friend – smacks of irresponsibility. With irresponsibility comes culpability, and Contador’s claimed ignorance is grounds for potential mitigation but not exoneration. Such levels of rigour and paranoia are a fact of life in all top-level sports. Just ask any athlete about the precautions they have to take before they even buy something as simple as an over-the-counter cold remedy. I have given everything to this sport. It’s my life and I have given so much to it. Yes, Alberto. You compete out of a sense of aestheticism and altruism. You have given so much to the sport, and not taken a cent from it in earnings and winnings. Give me a break. You are a professional sportsman. I’m sure you enjoy the thrill of victory for its own sake, but don’t pretend that you haven’t taken as much from the sport as it has benefitted from your undoubted talent. I have had 500 anti-doping controls in my career, many of which were surprise controls. I have had to leave birthday parties, get out of a cinema midway through a film, leave family and friends in restaurants to do these controls and all because I believed in the anti-doping system. I agree that this is far from convenient, and cycling really should make every attempt to limit the intrusions it makes into cyclists’ private lives. (Instead, we get ideas like middle-of-the-night testing during races.) But it is a fact of life. Part of the price of eternal vigilance is the occasional inconvenience. You are not alone in that respect – just compare notes with Lance Armstrong – and others have suffered more than you through not being available for testing at the specified time. Christine Ohuruogu can testify to that. I feel like a victim of a system that doesn’t allow you to defend yourself and that allows false positives to be punished as if they were cheaters. False positive? Hardly. It was a trace-positive of clenbuterol that was identified in your sample – something you have not even disputed, rather attempted to explain away with a story of imported, contaminated beef which you have failed to back up with any substantive evidence whatsoever. We live in modern times, where by law meat has to be tracked through the supply chain. You have had nearly five months to trace the meat back from the butcher it was purchased from, and from there all the way back to its original farm source. So why haven’t you? It’s incredible and embarrassing all the things that have happened these past few months. It’s been like a public lynching, a political fight, a war between the UCI and WADA. It has left me disillusioned and embittered. The UCI and WADA certainly do not always see eye to eye over the policing of anti-doping procedures, and there is undoubtedly an element of political gamesmanship at play here. But that has nothing to do with the facts of the case. You have a positive test result, and you have done nothing to disprove it other than giving your word that it was an innocent error. I note also that you did not comment on the results of the plasticiser test which pointed towards possible blood doping. In fairness, that test has been neither vetted nor approved for use, and the test results therefore have no bearing on the outcome of your case, so I can understand why you choose to ignore it. But it does look suspicious, no? A few times over these past few months I was at the point of exploding, of crashing down, I simply couldn’t take it any more. Now I have changed my mind, a lot of time has passed, my emotions have tempered. That is fair enough. I’m not sure anyone ever took that threat that seriously anyway, as it was clearly both an emotional response and one aimed squarely at the authorities to consider the implications of any action they might take. What has everyone else said? Neither the UCI nor WADA have passed official comment on the proposed ban so far, and have said they will not do so until a final verdict has been delivered. That seems right and proper. No decision has been taken [yet]. Contador is still the winner of the Tour de France. My team will continue to support Alberto as long as the final ruling is not anything else than a case of intake by accident. It is extremely important to distinguish from those who try to cheat on purpose and those who take something by accident. It is those cheaters who we want to fight. As far as I am informed right now, everything points to accidental contamination. Oh, really? Everything in Contador’s story certainly points to accidental contamination. I’m not sure about all the other evidence, whether real or circumstantial. And Riis’s words will always have a slightly hollow ring to them, coming as they do from a man who won the 1996 Tour de France and admitted 11 years later that he had doped. In reality, Riis has no option but to stand by his rider, having signed him to a €3m per year contract through to the end of 2012 only last summer. Without Contador, he will face pressure from the sponsors who signed on in the expectation of having their name plastered across the jersey of the world’s best stage race rider. Without Contador, he will likely enter the Tour de France with young Australian Richie Porte as his primary general classification rider. Riis has muttered about having plans for the season both with and without Contador. Italy’s Gazzetta dello Sport has linked him with a move for Geox‘s Denis Menchov. The Russian, who finished third at last year’s Tour, will currently not be able to ride in this year’s edition after Geox failed to secure a wild-card invite last week. However, he has a two-year contract with the team which would need to be bought out. Contador now has until February 9th to answer the RFEC proposal, after which a definitive decision should be issued within a week. If the proposed ban is enacted, it will also result in his disqualification from the 2010 Tour, which would then be awarded to runner-up Andy Schleck. He then has 30 days to appeal to the Court of Arbitration for Sport (CAS) should he want to – which he has indicated would be likely. Similarly, either WADA or the UCI could lodge an appeal to ask for any ban to be lengthened. There has also been no mention yet of any proposed fine to be levied alongside the ban. Contador could conceivably be fined as much as 70% of his salary if he is banned for more than 12 months. Not to mention he would presumably be asked to repay his winnings from last year’s Tour. The winner’s purse alone was €450,000 which, although the winner traditionally gives this to his teammates, would have to be repaid out of Contador’s pocket. There is more than Contador’s innocence at stake – there is also his bank balance. Of course, while the best case scenario for Contador would be to have his ban overturned, the process of taking it to CAS would almost certainly not be completed until after the 2011 Tour, during which time he would still be suspended. If Contador appeals to CAS, I see it as very difficult that the case won’t become more complicated, including even making it worse. The standard ban for a first doping offence is two years, although this has been mitigated in a number of cases. If Contador were to lose an appeal, a two-year ban would become a very real possibility, with all the sporting and commercial consequences that would bring for him. Appealing to CAS represents a high-risk strategy. An alternative solution would be to negotiate a compromise which allows him to serve a nominal 12-month ban but still compete in 2011. The Spanish newspaper El Diario Montañés has claimed that Contador’s legal team will ask for the ban to be applied from July 25th last year, the date on which he last competed, rather than the more customary date on which he was notified of the positive test, August 24th. Bringing forward the date to July would enable him to compete in this year’s Vuelta a España, which starts on August 20th. As you all know, the day before yesterday I received the proposed ban of a possible one-year ban, but it’s an absolute disgrace that after waiting all these months that I learned about it from the media rather than from the appropriate authorities. It is shameful that it was leaked to the press before I was told officially. If true, he is absolutely right that it is an appalling way to do things. Even though the official announcement was not expected until Thursday, by Wednesday evening the news was already flying around the news wires, having been clearly leaked. For the media to learn of the outcome before the athlete is no way to handle such a matter. Those responsible for the anti-doping system have to rethink things. There’s an anti-doping regulation [which states that any amount of clenbuterol detected is a positive] which is completely obsolete. The amount of clenbuterol found in my system could have had no effect on my performance and is physically impossible to take intentionally. In no way did it help me win the Tour de France. His point about there being negligible performance benefit is likely true given the minute concentration in which the blood was detected in his sample. From a layman’s perspective, it would make sense to have a lower threshold below which any ‘accidental’ ingestion would confer no physical advantage. However, the rule is what it is, and expressions about crying over spilt milk spring to mind. As I suggested in my previous post, there is a distinct possibility that we are at the beginning of a long and winding road of legal and scientific disputes, which will likely drag on until the summer – effectively meaning the 2011 Tour de France will start before the 2010 winner has been finally confirmed. Yet again, cycling will find itself dragged through the mud at a time when its reputation among casual and would-be fans is already at an all-time low. Is a year’s ban enough of a deterrent? Not really. But as I have said previously, there is already enough precedent to suggest that 12 months is the going rate for a clenbuterol trace-positive. I don’t like that – I would much rather it was at least two years – but I also think there should be a minimum threshold concentration so that all future cases are simply black or white, with no grey area in between for obfuscation. In reality, a year is all the UCI and WADA can reasonably expect. I don’t like that, but we live in a pragmatic world. None of that, however, is the concern of Alberto Contador. If he is innocent, then he must fight to save his reputation. And if guilty, he must at least fight to preserve his career and his commercial interests. The fact he has the wriggle room to mount a legal challenge is not his fault. That is solely the fault of the rule-makers in the wider sport. In the midst of a sea of argument and counter-argument, the truth will only become further muddied. As I have stated before, I am not inclined to believe Contador’s story, because it remains a fairy tale with about as much basis in fact as the tooth fairy, and because of the (admittedly less than robust) evidence of the plasticiser test. As a lover of the sport, I really do want to believe that Contador is innocent. However, I cannot. But equally I will defend his right to defend himself to the fullest extent the process will allow, even if that damages the sport in the eyes of many. Let battle commence.